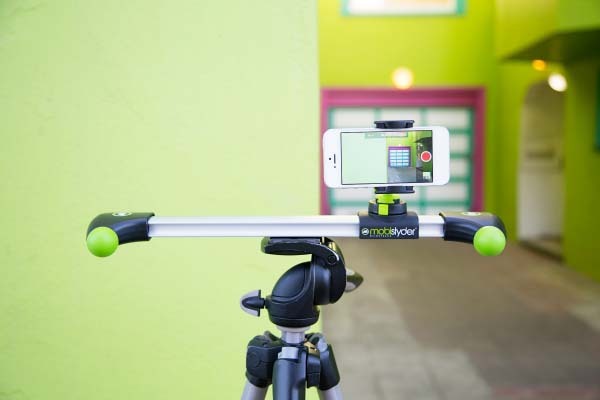 Using your smartphone and suitable applications you can create awesome videos, but if you want it to a higher level, the Mobislyder cinema track may be a nice solution. The Mobislyder is a portable and affordable cinema track designed to offer you an easy way to add cinematic polish to your videos. As we can see from the images, the track system features sleek portable design, and is precisely made from aluminum for lightweight and durable construction. Using its 14.1-inch aluminum rail and ball joints you can easily deploy the cinema track system on various positions for various creative videos. Apart from that, its universal holder is compatible with various smartphones, and the track system can be mounted on a tripod. 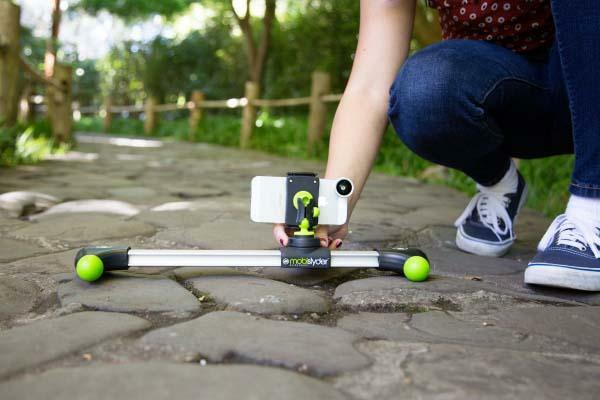 The Mobislyder cinema track for smartphone is priced at $95 USD. If you’re interested, jump to Photojojo for more details.